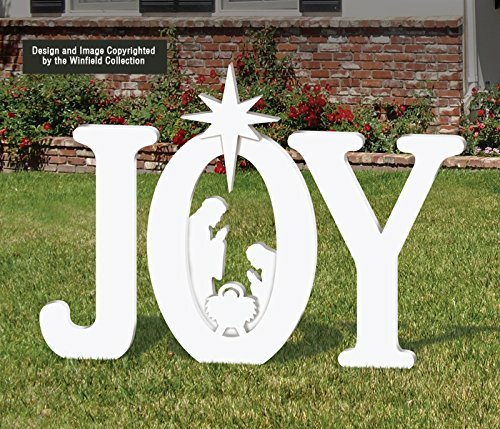 Proudly display this stunning message that symbolizes the true meaning of Christmas! Beautiful during the day, at night this pure white design becomes a real eye-catcher illuminated with just a small spotlight. Simple yet elegant all weather display looks fantastic in any yard! Made in the USA from extra thick (.591") pure white pvc plastic board. 3-piece display measures 46" tall to top of star x about 68" wide.